Incorrect wheel alignment can result in uneven wear on your tyres, meaning that you have to replace them more regularly. If you notice wear on one side of your tyre but not the other, it could be time to have your car’s wheel alignment checked. 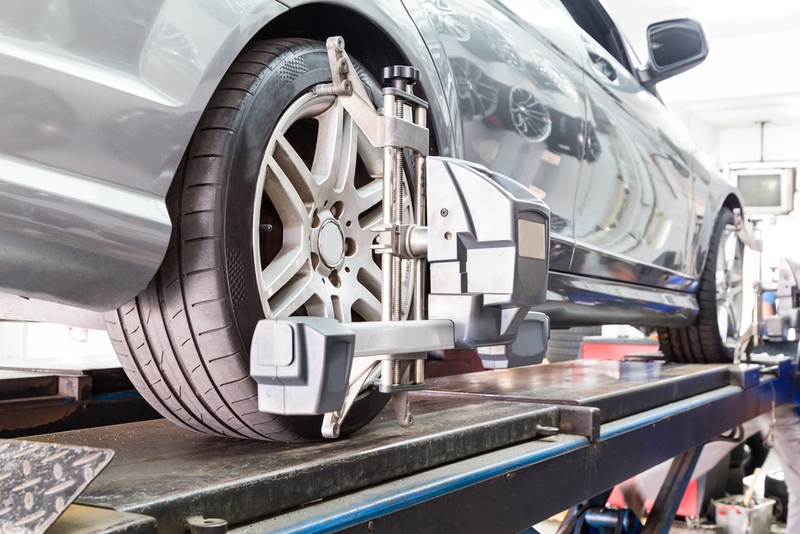 Wheel alignment refers to the direction that your tyres point, with misalignment resulting in a whole host of problems with your vehicle, including the overall safety of your tyres and their grip on the road. The lifespan of your tyres can be greatly reduced by failure to address misaligned wheels, which could result in an increased cost to the vehicle owner. There are a number of checks that you can perform as a vehicle owner to identify if your car’s wheel alignment is accurate. It is also important to keep an eye on vehicle performance, as other symptoms only occur while the vehicle is in motion. Spotting uneven tread will require you to carry out a visual inspection when the car is parked, ensuring that the handbrake is on, take a closer look at the tread and wear on the tyres. If one side appears to have worn more significantly than the other, this could be a sign that your wheels need realigning. When driving you may notice some unusual behaviours in your car's performance, including pulling to one side while driving on a flat surface. You may also notice that your steering wheel rests at an unusual angle when the wheels appear straight, or even an increase in fuel consumption. Wheel alignment can be amended or altered without a large impact and can occur during typical driving conditions. Driving on unstable roads that have potholes, hitting kerbs and debris on the road, obstacles and uneven driving surfaces can all result in misalignment of the wheels and tyres. The fitting of new wheels and tyres can also cause misalignment in the wheels, which is why we recommend having your wheel alignment checked each time you get new tyres or your vehicle undergoes any work on the suspension. When your car's wheels are correctly aligned, the driving experience will be much safer and smoother. Ensuring that you have your wheel alignment checked upon suspecting an issue can actually result in cost savings on repairs and fuel in the longer term. Tyres will wear more evenly and this will mean that they will need replacing less frequently resulting in fewer costs for car maintenance. Correct alignment also results in improved fuel efficiency and can mean less time spent at the pump and a more economical ride. The car will also naturally drive straight and will handle more smoothly, with the steering level remaining level and put less strain on the overall vehicle which can prolong the lifespan of steering and suspension components. 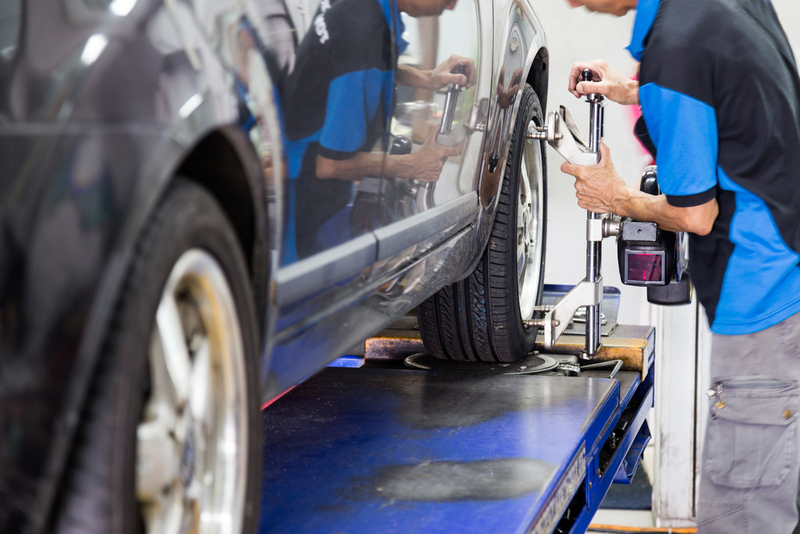 If you have noticed any issues with your car’s handling, uneven wear on your tyres or any of the other signs of wheel misalignment, pop into your local Vasstech branch for free, honest advice. Find your nearest Vasstech branch today.